These Antarctic vegetables were grown without pesticides, daylight, or even soil — but they look absolutely delicious. 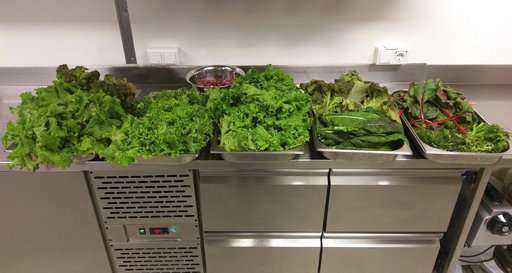 Various vegetables which were harvested from the EDEN-ISS greenhouse at the Neumayer-Station III on Antarctica. Image credits: DLR. Germany’s southernmost workplace, the Neumayer-Station III, has harvested the first crop of Antarctic vegetables. Biologists report that they’ve successfully grown 3.6 kilograms (8 pounds) of salad greens, 18 cucumbers and 70 radishes grown inside a high-tech greenhouse, as temperatures around the research station were plummeting to -20 degrees Celsius (-4 Fahrenheit). The plants were grown without soil, in a closed-water circle. No outside lighting was used — instead, researchers optimized and used an LED system. The carbon dioxide cycle was also closely monitored. While this is a solid crop already, researchers are expecting much more in the future. The German Aerospace Center DLR, which coordinates the project, said that in the coming months, they expect to harvest 4-5 kilograms of fruit and vegetables a week. 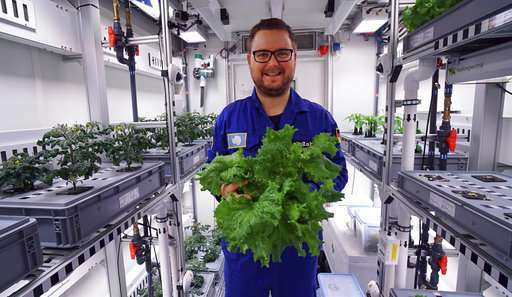 Image shows engineer Paul Zabel with fresh salad he harvested in the EDEN-ISS greenhouse at the Neumayer-Station III on Antarctica. The project with — instead of soil — a closed water cycle, optimized lightning and carbon dioxide levels is a test of what may become part of the nutrition program for astronauts in future moon or Mars missions. Image credits: DLR. 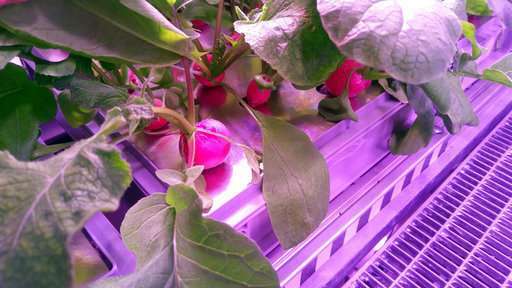 NASA has already grown delicious vegetables aboard the International Space Station using a somewhat similar system, but the DLR says that they want to grow a much wider range of fruits and veggies, and they also want to create a more substantial harvest. A radish before being harvested in the EDEN-ISS greenhouse at the Neumayer-Station III on Antarctica. Image credits: DLR. If we want to go to other planets, we’ll ultimately have to find a way to sustainably grow food on spaceships, or places like the Moon or Mars. This type of mission will prove instrumental to the success of those missions.